THOROUGH CLEANING: Vacuuming, sweeping and UV sanitizing all in one step! Powerful suction and floor adaptable brush effectively remove debris, dirt and pet hairs on the ground. Cleaning Mode: Roller brush and suction, you can clean the dust with suction mode, while the garbage on the blanket with Roller brush mode. 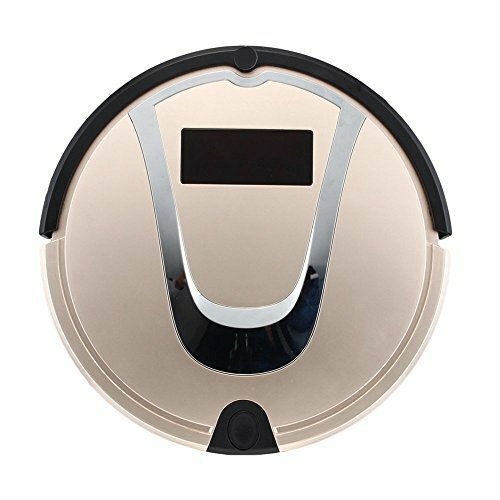 MAIN FEATURES: High performance vacuum engine, adjustable sweep brush, UV-C sanitizing lamp, advanced navigation system, touch screen panel, dirt sensor, cliff sensors, obstacle sensors and HEPA filtration. ADVANCED FUNTIONS: Home charging station, sonic wall (virtual blocker), scheduler, remote control and large dustbin (0.5L) Tangle-free, powerful suction picks up hair, debris and dirt easily and efficiently. Perfect for households with pets. Long lasting battery provides up to 120 minutes of cleaning time, giving you more free time to enjoy your day! If you have any questions about this product by Powmax, contact us by completing and submitting the form below. If you are looking for a specif part number, please include it with your message.